I know that some of the people reading this will find hard to believe that I GENUINELY LOVE insanely much Pixi products, because this is a pr gift, but I truly believe that they make some of the most beautiful, effective, affordable beauty products and I never heard anyone saying about Pixi products that they are rubbish or is just a hype or just eye candy. I am sure that there are some products better than others, but overall they have such good stuff and every time they release something new I am like ohhhh I want that! I want to try that, I need it in my life!!!! If you used Pixi products you probably have this feeling too. I simply cant be the only one who has a skincare obsession right ? SO BACK TO THE TRAVEL SET ..... there are 9 products inside in this super pretty pink makeup travel bag, even the bag itself has rose blooms on it. 2.Rose Cream Cleanser. This is a heavy hydrating cleanser, packed with moisture boosting glycerin and hyaluronic acid and its perfect to swipe away dirt, debris and makeup without stripping the skin of its natural oils. 5.Rose Flash Balm, very multifunctional, it can be used as a primer, a moisturizer and a mask. I love it as a primer! 6.Rose Ceramide Cream - I haven't used it yet but I will come back soon with a review. 7.Rose Oil Blend, it can be used also on hair and it smells divine. I will list more info and a review for this oil in February. 9.Rose Glow Mist- unfortunately for me the pomp is broken and I couldn't use this product yet. I was already using some of these products, I love the Rose Caviar Essence,and I already finished several tubes of this hydrating essence. I bought it myself together with a big bottle of Rose Tonic and the Makeup Fixing Mist, beautiful, gentle and calming products. I cant ever imagine my skin routine without these products. I have been talking about the Rose Caviar Essence before on my blog and also about the Rose Flash Balm and if you want to know more details you can read a review here. Do you have any favorite Pixi products ? ******This is a promotional post, sponsored by Pixi Beauty who gifted me all products mentioned above. Pixi Products honestly have never let me down! :) I need to try their new rose line! Everything from this line smells so divine! I have to try this new rose line. I have been using pixi for years, and I love it. I am so happy to hear! I only discovered it recently but I got addicted to their skin care products. These are so pretty! I love discovering new beauty products to try out. Great gift ideas too! Yes this is such a perfect Valentines day gift,isn't it ? Thanks a lot for the awesome review, I just shared your post with my wife, she says THANK YOU!!! Chad,you are so good to me! If she likes everything here, maybe you can surprise her with this travel set for Valentines day :) No roses this year but rose infused skin care ! Need to get more into skincare. All of these items look as though they would smell super yum on my face! Thanks for the info. Yess they really smell amazing ! I have never tried Pixi products before - but it sounds like I need to. These sound fantastic! You are missing a lot of good stuff,you really need to try them ! I am really happy to hear that you like that cleanser.This travel set is definitely amazing. I have never tried Pixi products but I'm always looking for new skincare to try so will give these a try. 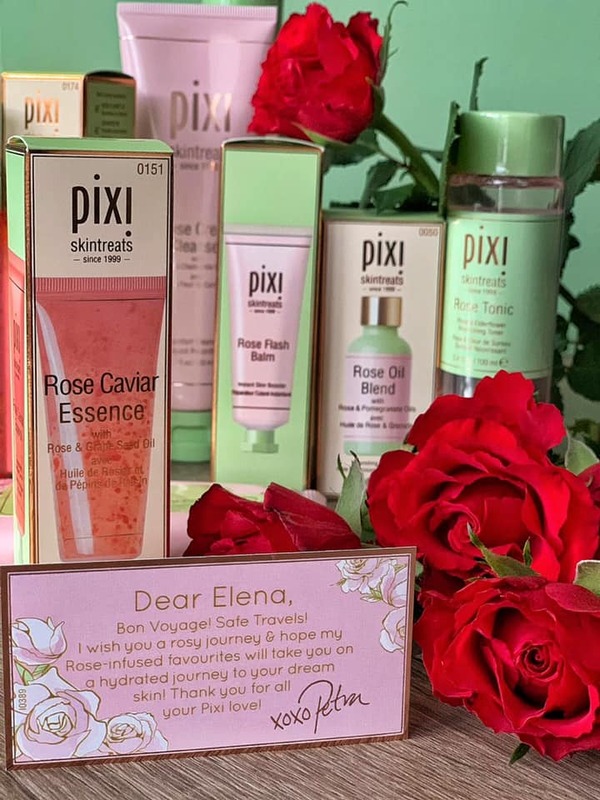 You should definitely try the Pixi skincare, you will fall in loveeee! You would find hard to believe it but if you have time and energy to involve yourself into a good skin regimen like you said, your skin will be less sensitive. Most of the time is us who are making the skin to be sensitive because of what we use or not use. I'm yet to try Pixi products but I've heard only good stiffs about them. I might have to try them out when I finish my current beauty supply. This is a pretty collection, One that I will share with my girlfriend. This is so nice of you!Thank you. I have heard great things about rose extract in the past; I'll have to give these a try! Rose extract has been really popular in the past and it seems like is making a come back.Rose,definitely has a lot of skin benefits. This is my first timr heating about Pixi product. It sounds like a quality skincare product. I would love to give this a try. 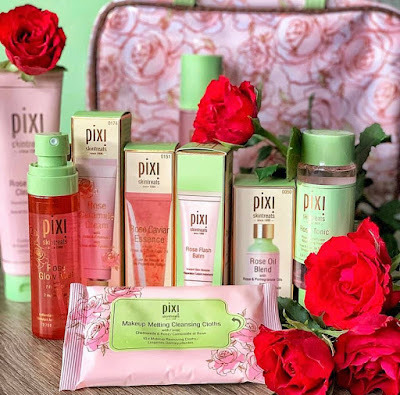 Pixi is a really popular and amazing skin care/makeup brand from UK.I think you will love their products ! This is such a great line up for our favorite brand PIXI and to come up with this is a wonderful thing for us. We all need this kind of skin care product that can really gives us the result that we are looking for. I am so glad that you also like their products.My skin looks really good since I used their skincare. Pixi has some great beauty products. These look like some great ones too! I agree,I love their entire skin care and I can't wait to try more of their products. I heard a lot of good feedback about this product. It really shows how excited you are to try these. Oh,I was really excited to try again more products from Pixi, I love their stuff ! You should try their products again , they only get better and better in my opinion. They got so many new products this past months, I can't wait to try some of their really new skin care.